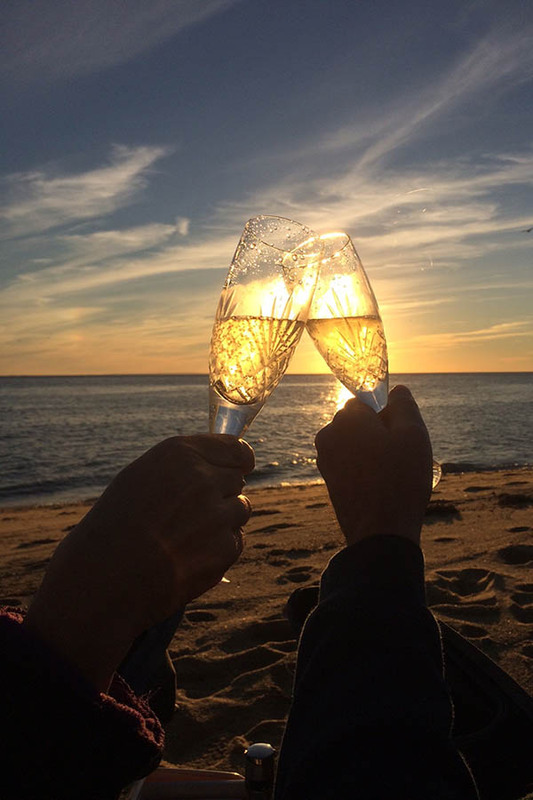 Make a special occasion even more memorable by celebrating amidst the Provincetown dunes. Picture one of the most special events in your lives. Or perhaps you’re vacationing and want to create a memorable experience for family and friends to share for many years. Now, picture that event or experience in one of the world’s most spectacular locations… the Provincetown Dunes! Share your personal experience with family or friends all against the backdrop of rolling hills of sand and grass, fiery sunset hues in the sky, and the sound of rolling ocean waves. We’ll take care of everything while you and your guests travel in comfort to the heart of the Cape Cod National Seashore. Through the years we have provided services for all types of memorable occasions – weddings, commitment ceremonies, memorials, birthdays, family and friend reunions and other events. Meals and a bonfire can be added. For pricing, call 800-894-1951 or email us. We are pleased to offer wedding and commitment ceremony services so that you can amplify and strengthen the bond of your partnership in one of the most beautiful settings on earth. Celebrate the love between you. Take perfect photographs for memories that will last a lifetime. We would be honored and delighted to help you plan, celebrate and document your special event. We respect and uphold the commitment between all loving couples, and we’re here to help make your event the best possible.